Getting where you need to go is as easy as hopping on a light-rail car or city bus. 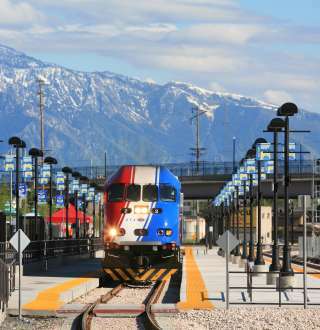 Salt Lake has plenty of transportation options to make your ski vacation easy. In fact it&apos;s so easy to get from the airport to the resorts, you can ski or ride the day you get here. From public transportation to private cars, shuttles and more you&apos;ll find plenty of options to get you from airport to slope-side detailed for you below. FREE Ski Transportation! UTA Ski Bus transportation is included with the Ski Salt Lake Super pass. Find out more about UTA Ski bus service.